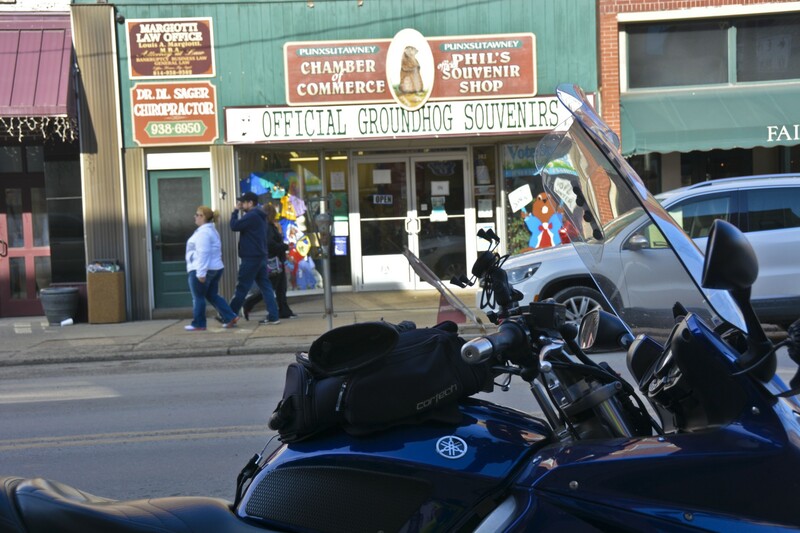 I don't live far from where Punxsutawney Phil will make his epic prediction tomorrow, and have even made some motorcycle trips on February 2 to be there. You can find them in my profile. I have personally observed that on days Phil has not seen his shadow have been perfectly clear sunny days that are a joy to ride. I think the Sleeprider shadow may be a better prediction of early Spring than Phil's. I'll be sure to wander outside tomorrow morning, and squint in the bright morning sun if it is there and give you my own version. Phil is a rodent, and has proven to be very inaccurate. Now, I want his job. I'll let you know MY prediction tomorrow; however I predict that in these parts, Spring will arrive about March 21 whether you're ready or not. It's going to be too cold tomorrow morning to go to Punxsutawney, but by Sunday it might be okay. Nice looking Yamaha, from what I can see of it. Which model and what year? it's a 05 FJR that I got in 2011 with less than 6K miles. I have taken it coast to coast 4 times and lots of half-continent trips. (02-01-2019, 08:48 PM)Big Guy Wrote: Nice looking Yamaha, from what I can see of it. Which model and what year? Ditto from me on nice bike. I'd wanted to get a Suzuki SV 1000 a few years ago, but I'm guessing I no longer have the spine for bikes. Happy Groundhog Day to y'all. Was my paternal grandfather's birth date BTW. My theory on Phil's seeing his shadow is the lighting from all the news cameras. (02-01-2019, 09:08 PM)Sleeprider Wrote: it's a 05 FJR that I got in 2011 with less than 6K miles. I have taken it coast to coast 4 times and lots of half-continent trips. six more weeks of winter would be an early spring! I remember one year taking Spring Break from college in Utah. I decided I would travel towards home in late March. I headed back with a friend and stopped in Yellowstone where all the roads were closed with 15 feet of snow, and we continued to his sister's house in Deluth, MN. In my quest for early Spring I drove the northern shore of Superior all the way to the Mackinac Bridge, camping overnight in frozen enclaves near bays encased in ice. Re-entering the U.S into northern Michigan and continuing south to Ohio, it was basically a trip from frozen tundra to mud season. In subsequent Spring vacations, I learned to go straight south to Arizona or LA. Southern Canada is not the Riviera until July.